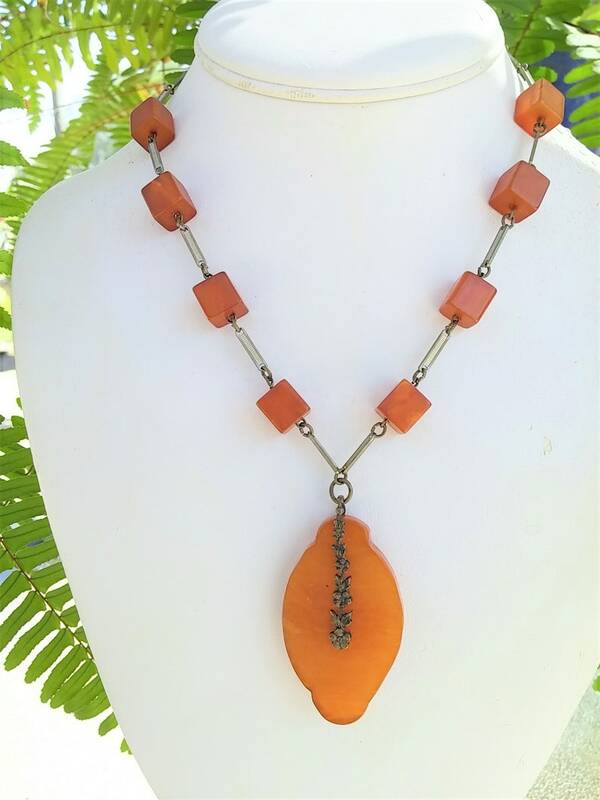 This unusual bakelite necklace has cubes of butterscotch bakelite connected by silver tone textured links. The scalloped butterscotch bakelite pendant has a unique metal flower design down the center of it, creating a dainty feminine look to this piece. The pendant measures 2" long by 1-1/4" wide and the necklace is 16" long. The bakelite has been tested to be genuine butterscotch bakelite.